Dzawada’enuxw First Nation alleges 10 Atlantic salmon fish farms in the waters of their territory infringe on their Aboriginal rights to harvest eulachon and wild salmon. They allege farms threaten those species by exposing them to viruses and parasites and want them gone. 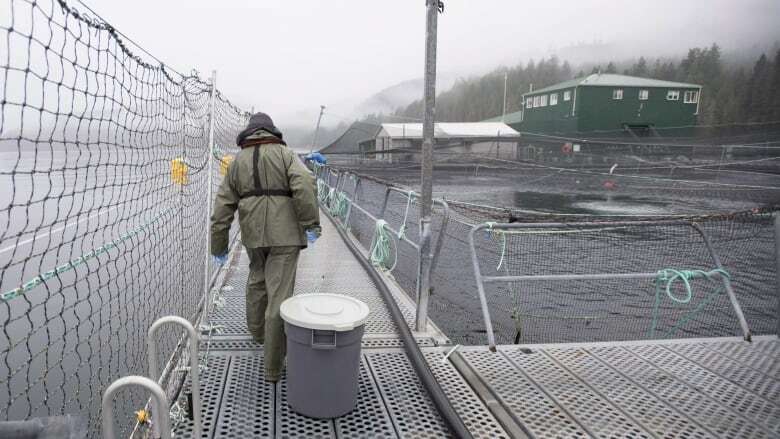 A British Columbia First Nation is suing the federal government for allowing Atlantic salmon farming in its waters, which it says is a violation of its Aboriginal rights. Dzawada'enuxw First Nation filed a claim in Vancouver federal court Thursday alleging that 10 fish farms located in the waters of their Central Coast territory infringe on their Aboriginal rights to harvest eulachon and wild salmon. 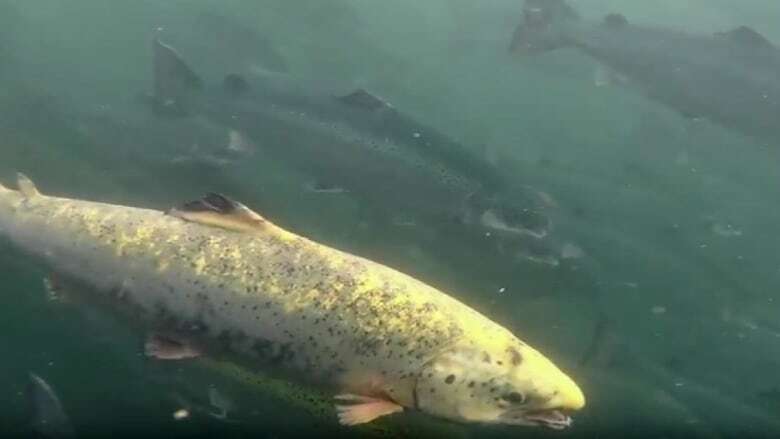 The filing alleges the fish farms threaten eulachon and wild salmon by exposing them to viruses and parasites from Atlantic salmon and that the farms pollute the marine environment. The suit claims the federal government, in issuing licences to the 10 farms, infringed their Aboriginal rights. The nation seeks an order quashing the licences. The filing lays out the Dzawada'enuxw history with wild salmon and eulachon. Both were staples of their diet at the time of contact and before, the statement of claim says. The fish would be packed, preserved or processed and sometimes traded to other Indigenous peoples for goods. Salmon and eulachon use were "defining features" of the Dzawada'enuxw economy, the filing adds, and contributed to their distinctive culture. It asserts the First Nation has constitutional fishery rights. Both species are at risk, however, according to the claim: it describes the salmon populations in Dzawada'enuxw territory, around Kingcome Inlet, as in "a serious state of decline." Eulachon populations, it says, have been at inconsistent levels since the mid-1990s and are below historic levels. Dzawada'enuxw First Nation's lawyer Jack Woodward said this is the third lawsuit the nation has filed over salmon farming in their territory. The two previous ones, he said, were against British Columbia. The federal and provincial governments have different responsibilities when it comes to fish farm permitting: the province decides where fish farming operations will be located but the federal government issues licences for particular activities, he said. "The challenge today is about the very idea that the federal government can issue a licence to authorize the introduction of Atlantic salmon — an alien species — into Pacific waters," Woodward said. "My clients say that authorizing these Atlantic salmon to be farmed in these open-net pens, that that is a direct impact and challenge to their Aboriginal rights." The two lawsuits against the province, Woodward said, are still ongoing. The majority of the 10 farms could be phased out by 2023 under an agreement between First Nations and the provincial government announced in December, Woodward said. But Woodward says that timeline is too long for Dzawada'enuxw First Nation. "It was other parties making decisions about fish farms within their territory and they had no involvement in that and they don't agree with it," he said. When asked to comment on the latest lawsuit, a spokesperson for Fisheries and Oceans Canada highlighted efforts made on collaborating with the province, First Nations and industry on aquaculture in the Broughton Archipelago on B.C. 's Central Coast. "We are committed to working together to ensure that this program can move forward in a way that is transparent and collaborative," the spokesperson said in an email. Woodward said the federal government has not yet filed a response to the Dzawada'enuxw lawsuit. The aquaculture industry in British Columbia has consistently said its operations are environmentally sound. The fish farm licences are held by Cermaq and Marine Harvest, according to the claim. A Cermaq spokesperson declined to comment on the lawsuit. Emails to Marine Harvest and a representative for the B.C. Salmon Farming Association were not immediately returned Friday evening.